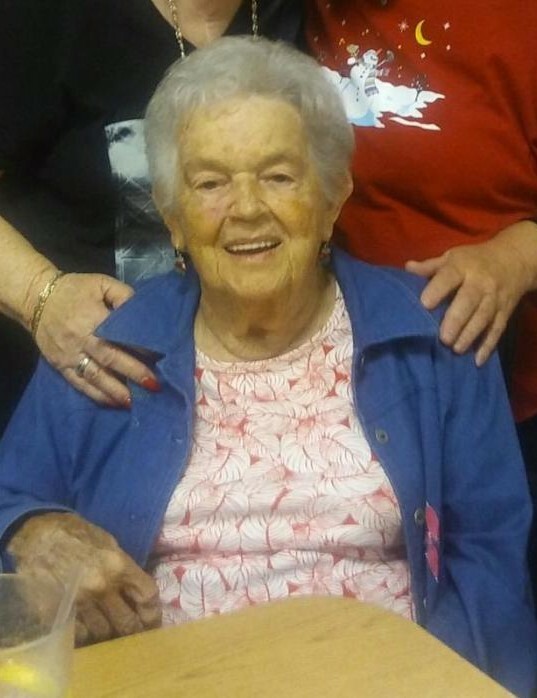 Mrs. Jacqueline “Jackie” Anna Sluder, age 88, of Glen St. Mary, FL, passed away at St. Vincent’s Medical Center on September 11, 2018. She was born to Victor Roy and Ada McCaffrey on February 23, 1930 in Hartford, Connecticut. She lived in the Baker County area for the last 30 years. Mrs. Jackie loved the outdoors. She loved to hunt and fish and travel. Nothing made her happier than getting in car and just going. She was a member of the Sanderson Christian Revival Center. She was preceded in death by both parents; her son, Lawton Mellroy; and brothers, Jimmy and Gary Cooper. Mrs. Sluder is survived by her husband of 56 years, Larry Sluder; daughter, Shirley (Bobby Griffis) Henderson of Lake Butler, FL; sons, Doyle (Sherry) Kurlin of Jacksonville, FL, and James (Shannon) Mellroy of Folkston, Ga; 18 grandchildren, 37 great-grandchildren, and 6 great-great-grandchildren.